Discover the INSIDR Free Travel Guides 2019! These guides are everything you need to plan your next adventure in Europe! The INSIDR Free Travel Guides are packed with local maps, expert Europe travel tips and practical recommendations. Beyond providing updated information through our articles, we at INSIDR believe that nothing is more handy than a well thought of and complete travel guide to have with you during your trip. That’s why we’ve started off by releasing our first series of Paris Travel Guides as Paris is a place that we at INSIDR know by heart. You can download them here. To help you travel smarter in 2019, we are extremely happy to introduce our 3 different types of free travel guides to help you prepare for your next European adventure. Practical Europe travel tips – Get our Pocket free travel guides! Pocket guides are a shortcut to everything you need to know to be ready for your trip and we have made them extra concise and practical. It’s got the type of key info you should save, download, print and carry with you during your trip! 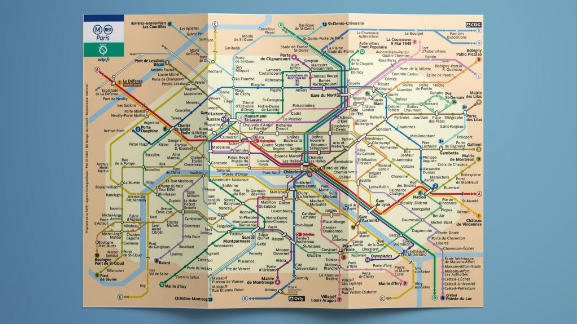 Figuring out the tricky Paris transportation starts here! Figuring out how to best spend a few days in Paris will be a piece of cake with our pocket guides. Download our Free Travel Guides for Paris in one click! Europe trip planning starts here! Full Europe travel guide – Get our Expert free travel guides! Expert Guides are a compilation of over 40 pages with detailed maps, itineraries, and a vast range of recommendations for all types of travellers. If you are preparing for a trip with your family, with a group of friends or even a trip alone with a desire to go beyond the main touristic attractions at night or away from the favourite Parisian shopping spots, don’t miss out on our expert guides! Start browsing our Experts Travel Guides! To quite literally guide you during your travel adventures, we have created INSIDR Free Local Maps of Paris. The goal of the INSIDR maps is to help you discover an extremely touristic district in Paris in a fresh and authentic way. Our INSIDR map aims to serve as your Parisian friend showing you his favorite neighborhood. You will find on-the-spot recommendations for attractions, food, shopping, and hidden-gems. INSIDR Free Local Maps are available in a PDF version which you can download here. You can also access the digital version of the map which can be accessed both online and offline with all our favorite recommendations and even a walking route for you to explore! Discover our online and offline maps! Don’t leave without your local maps! INSIDR Practical Maps – The best resources to plan ahead!